The TotoFit ORBit – nope, it’s NOT.A.DONUT! 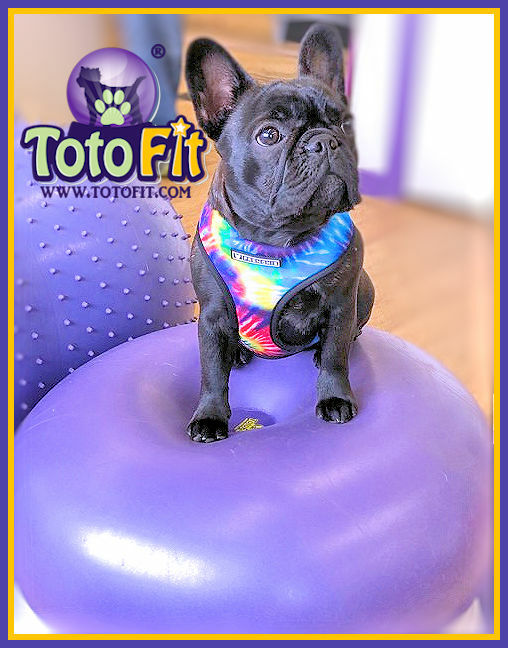 The new TotoFit ORBit is a one-of-a kind canine fitness product designed specifically for dogs. No hole on top, but there is a hole in the bottom. And it suctions to our solid base to keep it from flipping and slipping. The new TotoFit ORBit is a one-of-a kind canine fitness product designed specifically for dogs. We worked long and hard with our manufacturer to get it just right: the right height, right diameter, right material, and most importantly, the right combination of challenge, stability, and safety for your dog! You will not find this product in the human market or manufactured elsewhere. The technology is unique and the process to make it is complex and timely. It’s made of our extra thick, softly textured, PHTHALATE FREE Burst Resistant material. There is NO HOLE on the top for a leg to slip into. There IS A HOLE in the bottom that creates an instability, promoting more muscle engagement than a solid surface does. A manufacturing marvel! The ORBit fits in our large solid disk base that keeps it from sliding and flipping. It’s 11″ high stand alone, 13″ including the base, 24″ + across. When you press down on the top center, it suctions itself to the base! How great is that??? It won’t slip or roll while your dog is working on it! 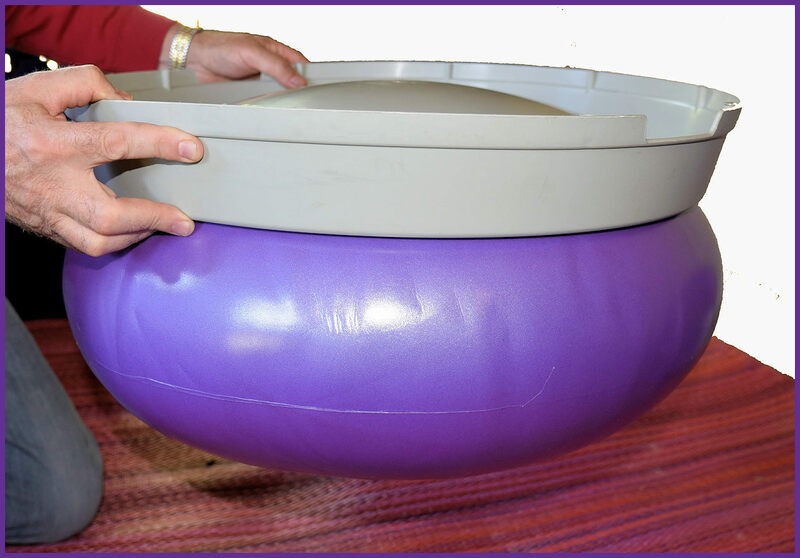 The ORBit is a must have for any exercise routine and can be used by dogs of all sizes. Small and medium dogs should be able to safely balance on its large, stable surface. Large dogs can place their forelimbs up for stretching, strengthening, and balance work. The hindlimbs may be placed on the ORBit for forelimb strengthening, eccentric muscle work and core exercise. Latex, Lead, BPA and Phthalate free and conforms to European Union REACH – EC 1907/2006 regulations. The ORBit is sold with and should only be used with our large solid base. It will not suction to the floor. Remove plug and inflate with a regular air pump that has a nozzle. If using an electric pump, you may need to finish inflating with a hand pump to get all the wrinkles out. Let it sit overnight so the material stretches and then put more air in it. 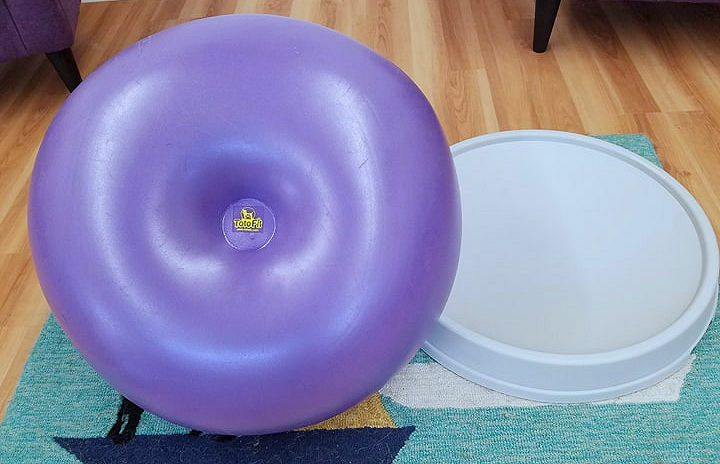 The ORBit should be 22+ inches across when fully inflated. Please look at the pictures to see what we mean by no wrinkles! Can hold a recommended maximum of 270 pounds or 120 kgs.